THE PRESIDENCY OF Barack Obama has been haunted by the election of Barack Obama. The farther we get away from November 4, 2008, the more that night seems an anomaly rather than a turning point. Dreams of a liberal revolution now seem embarrassingly naïve. And in light of the ongoing spectacle of the Republican primary, where race-baiting has been a conspicuous weapon of choice, the post-racial future some dared to imagine now seems positively quaint. But were we really so innocent? Certainly the enormity of seeing a black man elected president did not escape us. But acknowledging that monumental achievement is not the same as proclaiming the end of race itself. No other than Obama himself, in his race speech in Philadelphia, declared that “I have never been so naïve as to believe that we can get beyond our racial divisions in a single election cycle, or with a single candidacy.” The months that followed that address—with the outpouring of barely concealed racial resentment at McCain-Palin rallies and in the chain emails that infected the discourse—suggested that if anything Obama’s candidacy had made race even more salient. Donald R. Kinder and Allison Dale-Riddle have set out to investigate how exactly the foregrounding of race affected the last presidential election. It is certainly a question that political scientists have attended to in the years since the vote. Stephen Ansolabahere and Charles Stewart III, writing a couple of months after the election, claimed bluntly that “Obama won because of race,” crediting energized minorities for propelling him to the presidency. John Sides, in a back-of-the-envelope analysis in early 2009, found that Obama would have gained only a single percentage point among white voters if everyone who had a less favorable view of blacks was somehow made free of prejudice. But since then several academic studies have come out finding, to varying degrees, that race did in fact cost Obama in 2008. As the question mark punctuating their title suggests, Kinder and Dale-Riddle side with the skeptics. “Obama should have won the 2008 election in a landslide,” they write. “The gap between the vote he received and the vote that we calculate he should have received is due substantially to race.” Standard models that can explain electoral outcomes from the last sixty years all fall short when applied to “predicting” the 2008 election. The authors’ best estimate, averaging across different models, is that Obama should have received 58.1 percent of the vote in 2008. Instead, he received 53.7 percent. The key factor not accounted for in the models? Race. Beyond dispute is that Obama’s race helped to increase black turnout and the percentage of the black vote. Of course, blacks have long been a reliable part of the Democratic coalition. But 2008 was different. Blacks turned out in considerably greater numbers—65 percent of eligible voters, compared to 60 percent in 2004—and gave the Democratic candidate a higher-than-usual percentage of their vote, up 6 points to 95 percent from the average black vote over the previous four elections. Digging deeper into the data, Kinder and Dale-Riddle found a remarkable tidbit: holding factors such as education and income constant, blacks were more likely to turn out to vote than whites in 2008, the first time that had happened in half a century. Taking all of these findings into account, the authors estimate that Obama gained about 2.2 percentage points more from the black vote than a typical Democratic candidate would have. But “what race gives, race can take away.” While blatant racism is now marginalized in American society—and even harder to measure—racial resentment and stereotyping still persist and are easier to capture. Kinder and Dale-Riddle use data on attitudes toward race from the quadrennial National Election Studies surveys. Questions about whether discrimination still exists, the unwillingness of blacks to work hard, the legacy of slavery, and the like can serve as a measure of how a respondent feels about African Americans. According to the authors, racial resentment and stereotyping among white voters predicted their vote against Obama powerfully. All told, they estimate that Obama suffered a “race penalty” of about 10 percentage points among white voters. But in making the case for the persistence of race, the authors occasionally seem to overreach. They point out that the decline in Obama’s approval ratings from inauguration to the midterms was “unusually steep.” They note that his ratings fell even though the Index of Consumer Sentiment, a measure of consumer confidence, gradually began to improve after Obama took office—a fact that underscores that other factors, such as race, were behind Obama’s declining popularity. But the claim that “Obama’s sharp descent seems unconnected to actual performance” simply is not persuasive. Considerable though the administration’s accomplishments were, unemployment rose from 7.8 percent around inauguration to 10 percent by the end of 2009—and fell only to 9.5 percent by the midterms. Racial resentment or not, one cannot blame the poll respondent—especially a Republican or independent—who gave the president low marks. This book is at its most convincing and thorough when it stays on the subject of Obama’s election. But its title is something of a provocation—it rebuts a proposition that few people held about 2008. Certainly there are some, mainly on the right, who have long preached that race is no longer a fact of American life. But hardly anyone who did not already believe that suddenly changed their mind on Election Night. It was a good moment for America, most of us thought, but hardly the end of anything. The differences between the authors and the more sanguine among us amount to a half-empty, half-full quarrel. A useful check against complacency, Kinder’s and Dale-Riddle’s pessimism nonetheless understates just how momentous these times are. They say it should have been a landslide; but isn’t the very fact that we are quibbling about a black man’s margin of victory in the presidential vote in itself stunning? They suggest his approval ratings would be higher if Obama were white; but isn’t the wonder of Obama’s first two years—which saw the highest unemployment numbers in a generation—that they were not lower? In his race speech, Obama chastised Reverend Wright for his outlook on America: “He spoke as if our society was static.” He added, “But what we know—what we have seen—is that America can change.” Both preacher and parishioner were right. Wright’s worldview envisions an America in which racial resentments will always be present—a not unreasonable reading of human nature. 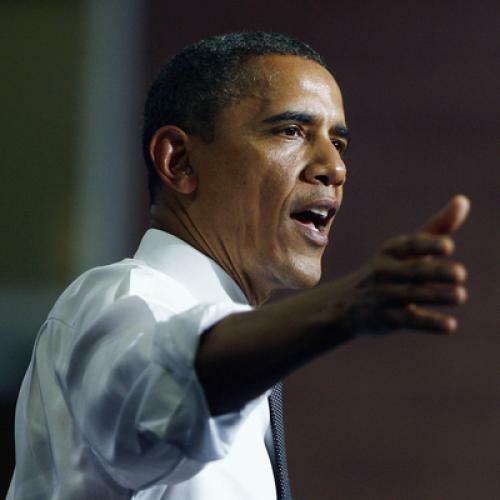 Obama sees an America that can absorb such resentments and never lose the capacity to improve. Kinder and Dale-Riddle offer powerful proof that racism still exists in the hearts of some of our fellow Americans. And yet a black man named Barack Hussein Obama still won the presidency. The End of Race? argues that we have “some distance yet to go,” which is true. But peer through its cloud of pessimism and you will discover that it conjures up an America moving relentlessly toward the horizon.